Shrenik Sadalgi is a polyglot developer and technology plumber. 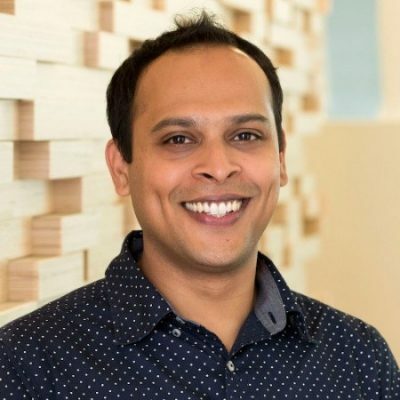 He drives engineering and software development on Wayfair Next to create next generation experiences in AR, VR and MR. Before joining Wayfair Next, he spearheaded the modernization of Wayfair’s mobile web experience as a part of the Client Technologies team at Wayfair. Prior to joining Wayfair, he helped build Horizon Mobile out of the CTO’s office at VMware, helped create a pointer-based, interactive media system for TV at Hillcrest Labs, and an AR experience allowing users to collaborate and casually create music in a shared physical space called ARmonica that was exhibited at UIST 2010. Shrenik holds a Masters in Computer Science from Columbia University where he was a recipient of the MSTA fellowship.